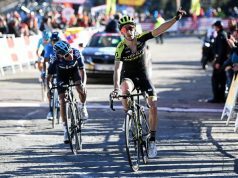 Mitchelton-Scott have teamed up with leading tyre company, Pirelli, ahead of the 2018 Tour de France. The partnership was officially launched with Simon Yates during the Formula F1 Pirelli Grand Prix De France 2018 with the three-time 2018 Giro d’Italia stage winner completing a lap of the Paul Ricard circuit before presenting the pole position prize to Lewis Hamilton (Mercedes). 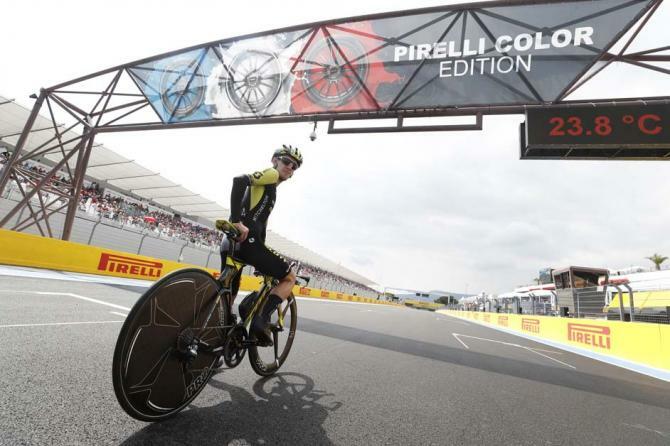 During the months leading up to the Tour de France, Mitchelton-Scott and Pirelli Research and Development personnel have been working together, in a constant exchange of technical feedback to produce the best product. 300,000km have been covered with the new tubular tyres, in races and testing sessions conducted jointly by Pirelli professional testers and by Mitchelton-SCOTT riders, with multiple WorldTour races already ridden with unbranded product. 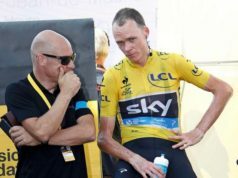 “To Pirelli, each bike, each cyclist and each and every racing condition calls for a different product. This is the way we work in motorsport championships too. We are certain that this partnership will yield significant results, not only in terms of race wins, but also and primarily in terms of product development,” said Antonella Lauriola, COO of Pirelli Business Unit Velo at Pirelli. Mitchelton-Scott High Performance Manager Kevin Tabotta reiterated the importance of the partnership and its potential. “The tyre is arguably the most important piece of equipment available to a professional road cyclist. There’s an incredible amount of trust that goes into a very small contact patch to the road,” he explained. The result of the intensive testing and performance validation process is the PZero Velo tubular tyre. A tyre born of the most demanding conditions, which, besides featuring the high efficiency level and grip typically associated with Pirelli products and ideally suited for WorldTour competitions. Among the characteristics it shares with clinchers in the same family, we find SmartNET™ Silica compound, ICS (Ideal Contour Shaping) tyre tread profile, and FGD (Functional Groove Design) – all of them viewed by Pirelli as essential constituents of Velo products, at the design and development stages.